Here’s a strange coincidence…The Beatles (John, Paul, George & Ringo) took their first and last photo together on the same day seven years apart. The magical date is August 22. 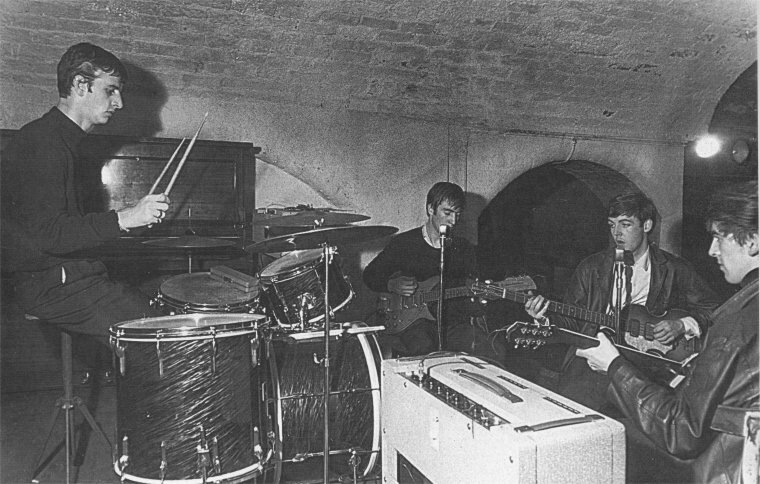 This is the first photo of The Beatles (John Lennon, Paul McCartney, George Harrison) with Ringo Starr as their “new” drummer. Photo taken – Friday, August 22, 1969 – John and Yoko’s home in Tittenhurst Park two days after their last recording session together. 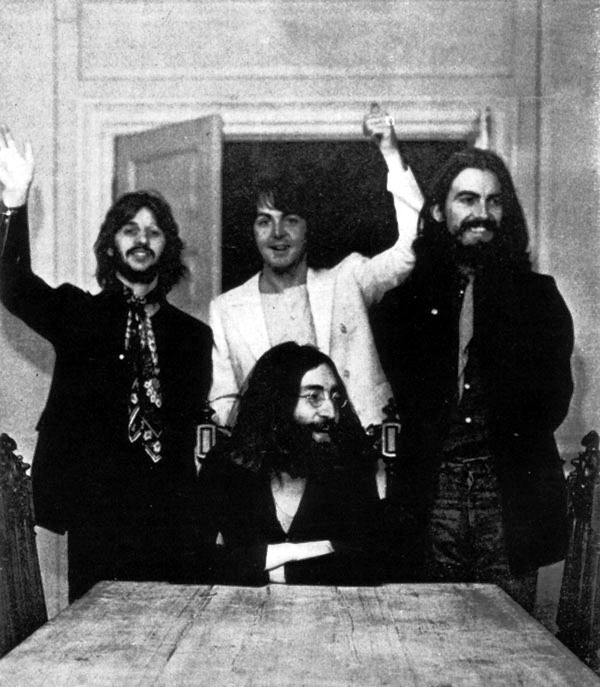 This is the last photo of The Beatles (John Lennon, Paul McCartney, George Harrison & Ringo Starr) together. This is the last photo of the three living Beatles together after John Lennon’s Death – Paul McCartney, George Harrison & Ringo Starr. 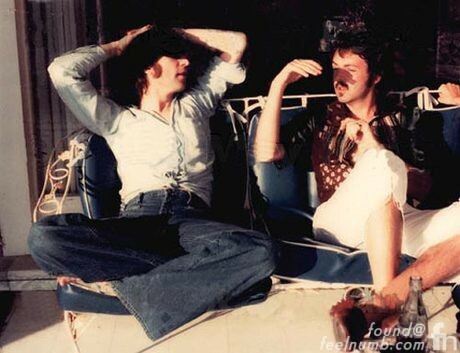 Click on the photo or link below to see the last photo of Lennon & McCartney together taken in 1974. The Beatles will live forever in music………………………. miss yuo george and jhon! 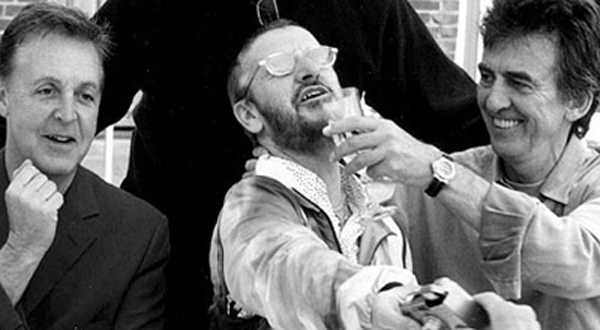 I thought that last photo was captioned by Pattie Boyd that George was trying to force-feed Ringo soe alcohol while Ringo was on dry-dock. If this was taken in 2000, then it was about a year before George passed away. I am GLAD that George had his quirky sense of humor prior to the end. And I am glad the three-quarter-Beatles met in 2000, before there are only two of them left. Who’s the guy in the background with his hands on Paul and George? good ol Beatles!! !…thanksfor all your wonderful life!